Ready for a change... looking to downsize or spend less time on home maintenance? Start your new year living a condo luxury lifestyle. This custom-built condominium high rise property has 6 units in the building all accessible via an elevator, no need to use the stairs! Each unit comes with 2 parking spaces. Harrods Creek Overlook is located just before Harrods Creek in Prospect; only 0.5 miles from the Gene Snyder and 15 miles from downtown Louisville. The extraordinary 2,721+/- sqft 2 bedroom, 2.5 half bath condo has a highly sought after open floor plan, all on one level with premier high end finishes. The condo has soaring 10' ceilings, gleaming hardwood throughout the main areas with tile in the bathrooms and carpet in the bedrooms. The spacious kitchen cascades to the dining area and great room which both offer balcony access to further enhance your entertaining experience outdoors. The owner's suite has an expansive bedroom open to a private sitting area with tons of natural light and 2 walk in closets with custom wood shelving. The private bath features double vanities, jetted tub, an expansive walk in shower and water closet. The spacious guest bedroom has 2 large closets and access to a full bath with dual vanities. There are two parking spaces in the lower level secure garage with additional storage offering easy access convenience for those on the go. Don't miss your opportunity to live in this gorgeous condo in highly desirable Harrods Creek Overlook. Directions:Hwy 42/Brownsboro Road to Harrods Bridge Way. Turn right into Harrods Creek Overlook. Building is on the right. SchoolsClick map icons below to view information for schools near 8500 Harrods Bridge Way #202 Prospect, KY 40059. 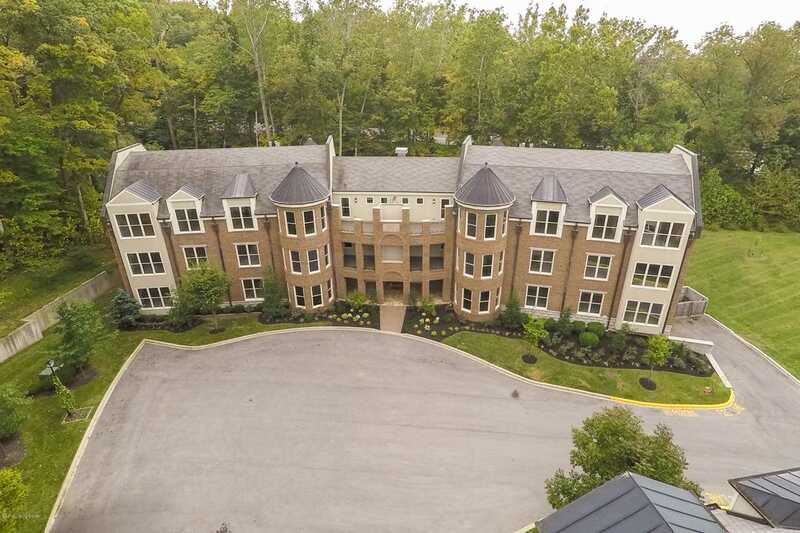 MLS # 1523335: This property at 8500 Harrods Bridge Way #202, Prospect, KY 40059 is located in the Harrods Creek Overlook subdivision and is listed for $395,000. MLS # 1523335 has been on the market for 90 days.